EIGHTEENTH CENTURY FRENCH FAIENCE MOUSTIER COVERED TUREEN IN SHADES OF ORANGE WITH A PEAR BRANCH ON THE HANDLE. CIRCA 1790. 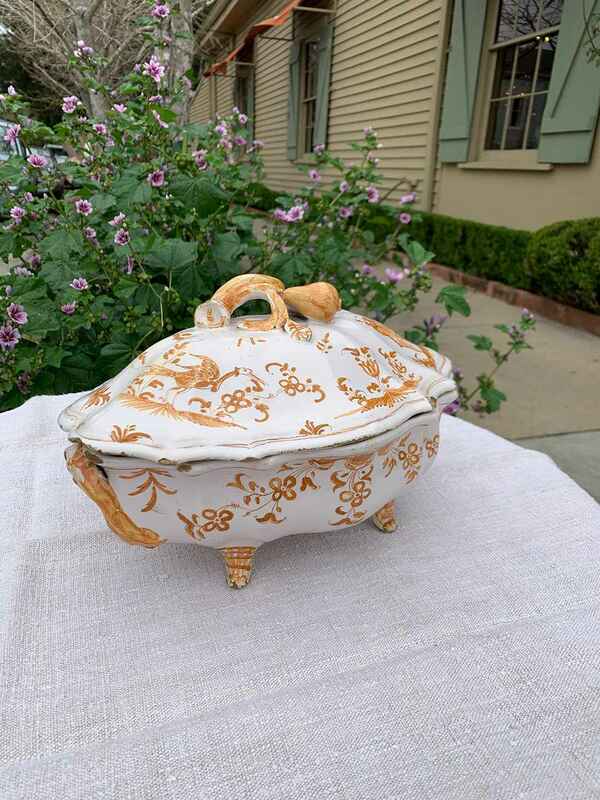 H (WITH HANDLE) 7" W 11" D 8"
EIGHTEENTH CENTURY FRENCH FAIENCE MOUSTIER COVERED TUREEN IN SHADES OF ORANGE WITH A PEAR BRANCH ON THE HANDLE. CIRCA 1790. H (WITH HANDLE) 7" W 11" D 8"